Hannl Systems is a small company based in Lütringhausen, Germany. 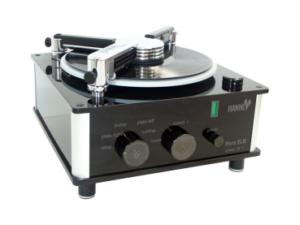 For years they have been designing and manufacturing ultra high grade record cleaning machines using extremely quiet motors (e.g., 42dB when vacuuming for Aragon), elegant yet solid cabinetry, precision German engineering and the “bullet proof” craftsmanship Germans are famous for. All of the Hannl Systems LP record cleaning machines are therefore 100% hand made and tested in Germany thus ensuring you years of trouble free LP cleaning. All machines employ universal 24 volt DC power supply and special motors designed to work very quietly during all stages (e.g., 42dB for vacuuming with Aragon; 46dB for Limited and Mera; 58dB for Micro). All machines are handcrafted in Germany from high grade acrylic and aluminum; high grade mechanical and electrical parts are used throughout for a lifetime of reliable, trouble-free operation. All machines feature custom designed record clamp and non-reactive, washable platter top for pristine, safe cleansing of valuable vinyl LPs. Multiple sets of ultra high grade velvet vacuum “lips” are included with each machine. For Limited, Mera, and Aragon, the Hannl Scrub Brush is anti-static as well. All machines are one-sided cleaners that automatically change rotational direction during scrubbing and vacuuming stages for optimal cleansing of LP. All machines can run in an automatic fashion for scrubbing and vacuum stages. During scrubbing stage user is able to press fluid application “pump” button for a precisely desired amount of cleaning fluid. After unit indicates scrubbing stage is finished, user rotates scrub unit(s) away and vacuum unit in place. 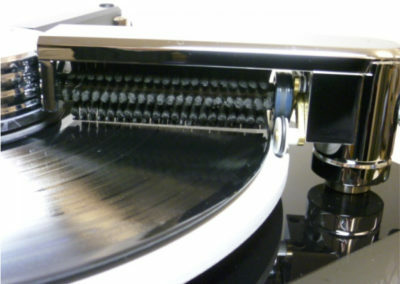 Otherwise, the Hannl Systems machines are a “set it and forget it” approach to cleaning your precious LPs. After vacuum stage is completed unit will stop rotating. 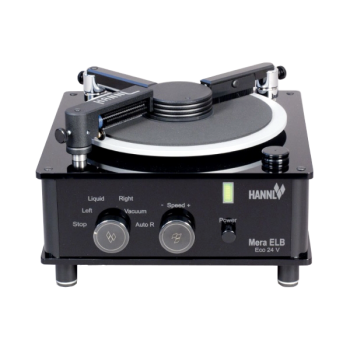 The Micro is the most cost effective machine from Hannl Systems. 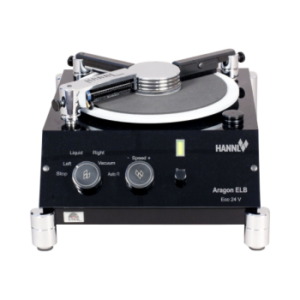 In addition to ultra efficient Hannl Vacuum Tube, the Micro features the rotating Hannl Round Brush which uses its rotational power for deep groove cleansing. For cleaning function the user must apply cleaning liquid by hand with supplied bottle. 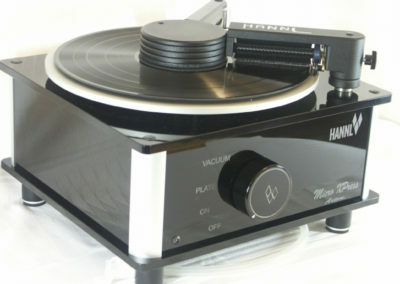 Which Hannl Systems model is right for you? Call or visit your Hannl Systems retailer, or give us a call to talk about Hannl Systems at HFS. We’re glad give you more to think about, though we’ll still tell you to go check one out at your local retailer with your own ears and see with your own eyes what true German craftsmanship and precision can do for your LP collection. 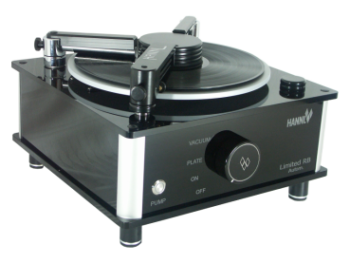 The Limited is a cost-effective version of Mera and Aragon from Hannl Systems. The standard Limited features the unique Hannl Scrub Brush with built in precision fluid application and ultra efficient Hannl Vacuum Tube. 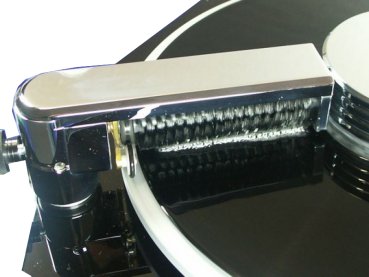 The Limited can also be ordered with optional rotating Hannl Round Brush which can provide additional groove cleansing. Round Brush may also be added at any time; it is important to note that when using Hannl Round Brush for additional groove cleansing user may apply cleaning liquid by hand with supplied bottle. The Mera is physically similar to the Limited, but functionally the Mera is identical to the top-of-the-line Aragon. 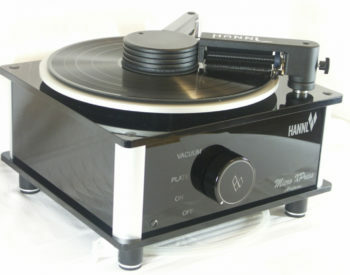 In addition to the ultra efficient Hannl Vacuum Tube, the Mera features the unique Hannl Scrub Brush with its built in precision fluid application and comes standard with the rotating Hannl Round Brush, which can provide additional groove cleansing (note: when using Hannl Round Brush user may apply cleaning liquid by hand with supplied bottle). The Mera also offers its user the ability to adjust rotational speed for additional cleansing and vacuuming control (user preference is memorized for repeated uses). 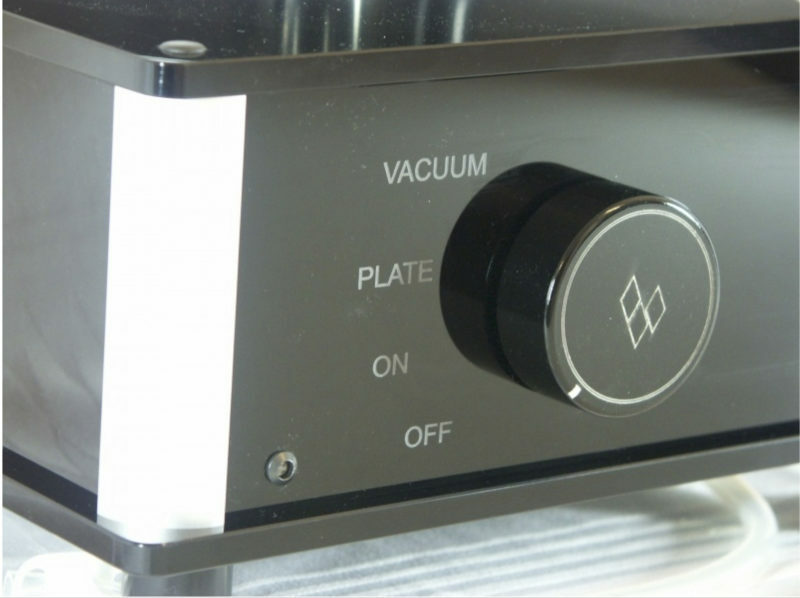 A status indicator informs user of platter speed and vacuum suction power. The Aragon is functionally identical to Mera. However, there is additional attention paid to the Aragon’s “desk-like” styling and thus the user ergonomics are improved and the Aragon is around 4dB quieter. Aragon also features upgraded chrome finishes for the Round Brush and Record Clamp, plus it has more substantial polished silver aluminum feet. In addition to the ultra efficient Hannl Vacuum Tube, the Aragon features the unique Hannl Scrub Brush with its built in precision fluid application and comes standard with the rotating Hannl Round Brush, which can provide additional groove cleansing (note: when using Hannl Round Brush user may apply cleaning liquid by hand with supplied bottle). The Aragon also offers its user the ability to adjust rotational speed for additional cleansing and vacuuming control (user preference is memorized for repeated uses). 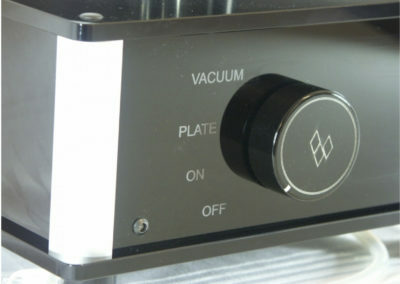 A status indicator informs user of platter speed and vacuum suction power.